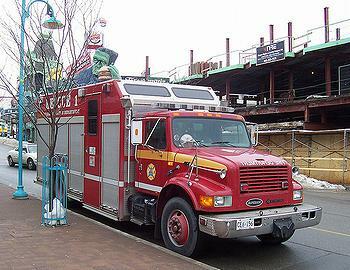 OTTAWA, Ontario, Canada, February 14, 2011 (ENS) – The Canadian government has set a start date of July 1, 2011 for requiring an average of two percent renewable diesel in all diesel fuel sold in Canada. Renewable diesel is defined as a diesel fuel substitute made from renewable materials such as vegetable oil, waste cooking oil, animal fat, fish oil or cellulosic feedstocks consisting of agriculture and forest biomass. Biodiesel is one common example of a renewable diesel. But the Canadian Trucking Alliance is challenging government claims that truckers will reduce their carbon footprint “in any significant manner” through the new biodiesel mandate. The government’s Renewable Fuels Regulations, published on September 1, 2010, already require an average of five percent renewable content in gasoline. The regulations also require an average of two percent renewable content in diesel fuel and heating oil. When fully implemented, the strategy’s two regulatory requirements combined with provincial regulations will ensure a total volume of renewable fuel that will reduce annual greenhouse gas emissions by up to four megatonnes – about the equivalent of taking one million vehicles off the road, according to Environment Canada. Biodiesel will gel in cold weather, as will regular diesel fuel. But up to a 20 percent blend of biodiesel can be used year-round, in even the coldest of climates if it is treated for winter use. The Harper Government worked with industry partners to support projects demonstrating how two percent renewable diesel blend performs in cold weather, how it weathers long-term storage, its impacts on engines and equipment, and possible problems with distribution of the fuel. The report concluded that an average of two percent renewable content is technically feasible. Reducing emissions in the transportation sector is a key component in the Harper Government’s plan to achieve Canada’s target of reducing total greenhouse gas emissions by 17 percent from 2005 levels by 2020. Analysis performed at Natural Resources Canada using the GHGenius model estimates that, under typical Canadian conditions, vegetable oil-based biodiesel production and use can reduce life cycle fossil energy use by around 80 percent and life cycle greenhouse gas emissions by more than 60 percent compared to crude oil-based diesel. Renewable diesel can also reduce tail-pipe emissions of some air pollutants compared to petroleum diesel, the agency said. 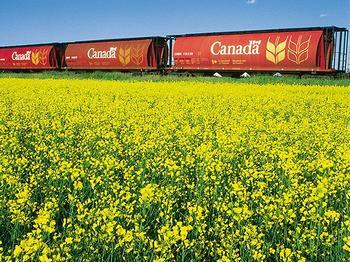 A recent lifecycle analysis of canola biodiesel commissioned by the Canola Council of Canada showed that Canadian canola as a feedstock in biodiesel reduces lifecycle greenhouse gas by 90 percent compared to fossil diesel. But the Canadian Trucking Alliance cites a 2009 study done by EcoRessources Consultants for Environment Canada, that shows the environmental impact of a biodiesel mandate on greenhouse gas reduction is negligible and is outweighed by the costs. The total incremental cost to society of the proposed biodiesel regulation for on-road use would be $4.5 billion between 2011 and 2035, whereas the benefits, in the form of reduced greenhouse gas emissions, are valued at $860 million. On a regional basis, Western Canada would take the biggest cost hit at about $1.8 billion, followed by Ontario at $1.3 billion and Quebec at more than $450 million. The report makes clear that consumers – the trucking industry and the increasing number of people buying more fuel-efficient diesel powered light-duty vehicles – would ultimately be burdened with the incremental costs of a biodiesel mandate, both in terms of direct costs and by the flow through of the increased costs to the petroleum refining sector, with very little greenhouse gas reduction benefit. Trucking Alliance chief executive David Bradley said, “It’s no wonder other countries are re-thinking their biodiesel policies. 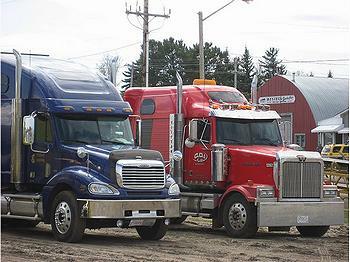 Furthermore, under the proposed U.S. heavy-duty truck greenhouse gas reduction regulation, which Canada says it will harmonize with, biodiesel isn’t even mentioned as an option for meeting the new standard. “Aside from the lack of environmental benefits, this new fuel standard could pose significant operating challenges for both light and heavy-duty users of diesel engines in winter conditions along with creating possible engine warranty issues,” said Bradley. “Unfortunately, it seemed from the very beginning that the concerns of the consumer, in this case the trucker and the motor coach operator, but perhaps also the growing number of motorists buying cars powered by diesel, were secondary to those of big-agribusiness which stands to gain handsomely from the mandate. In addition, the government has also finalized regulations to reduce greenhouse gas emissions from passenger vehicles and is working to do the same for heavy-duty vehicles. Under the previous Liberal Government, Canada ratified the Kyoto Protocol, which requires reducing greenhouse gases an average of 5.2 percent below 1990 levels by the end of 2012, but the present government, led by Conservative Prime Minister Stephen Harper, backed away from the commitment, saying it was not achievable.